Gives off the illusion of sleek, full and styled eyebrows to anyone you dare to wink your eye at. It is relatively pain free and provides a lasting benefit with little maintenance. 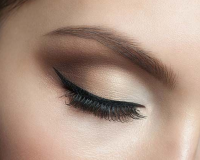 Golden Touch Medispa is your premiere source for microblading in Yorkville from Cathy, an experienced and compassionate practitioner who believes everyone deserves the opportunity to be beautiful. Must activate with 3 months of purchase, offer expires 1 year from activation date.